With hedgehog numbers in the UK declining significantly since the 1950s, it is more important than ever that we look after these cute creatures that inhabit our gardens. There are now just under one million hedgehogs in the UK. This is thought to be due to habitat loss, as the size of town and cities grows and the higher number of road incidents involving hedgehogs. Hedgehogs are nocturnal animals, which means they are only active at night, searching for food and water during these hours and sleeping during the day. Naturally, they eat bugs and insects such as beetles, caterpillars and earthworms. However, during the winter months these can be harder to find, which is one reason why they go into hibernation. Hedgehogs are one of the few British mammals that truly hibernate. During hibernation they will drop their body heat to match the temperature of their surroundings, slowing all their bodily functions so that they can save energy. The time in which a Hedgehog goes into hibernation can vary, generally occurring around October and November lasting until the months of March or April. 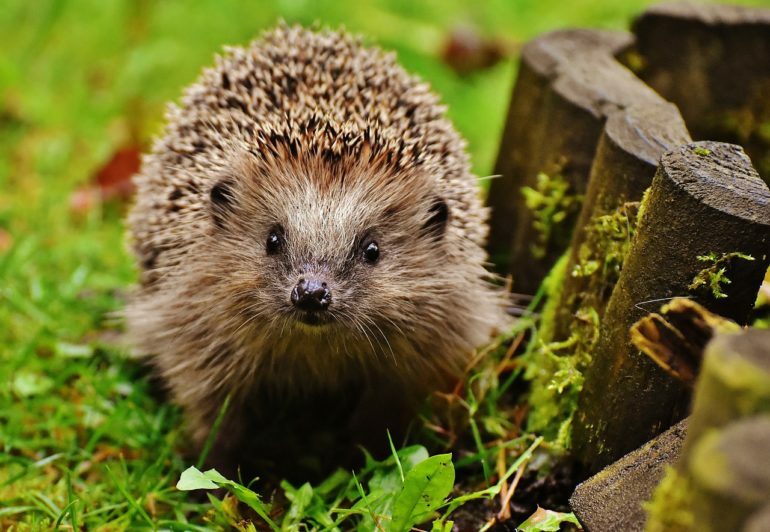 However, the temperature of their surroundings can affect the time a hedgehog goes into hibernation, if October, November and December are mild then Hedgehogs will likely continue to stay active during these months. 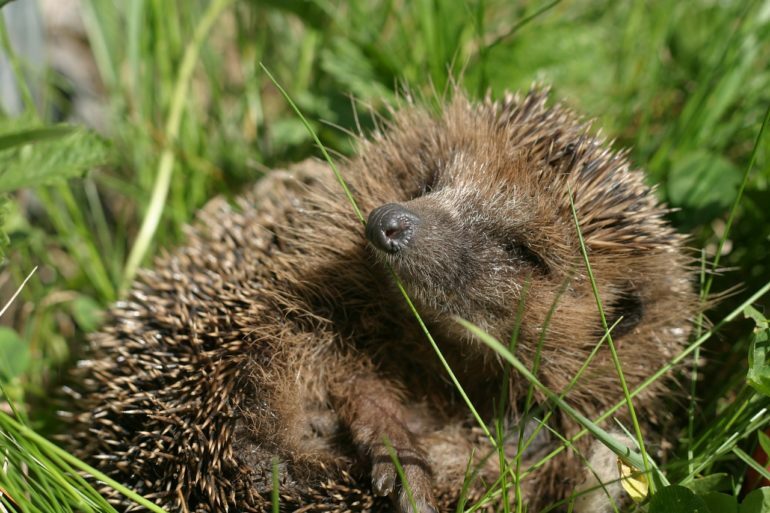 Although Hedgehogs fully hibernate during winter, they often move once or twice to find food or build a new nest. To survive throughout their period of hibernation, they eat large amount of food over the summer to store fat. They then slowly burn this throughout the winter. This means that supplementary feeding during the summer can be important for hedgehogs to survive. Before a hedgehog goes into hibernation they need lots of food in order to store fat, this is why it can be important to provide a shallow dish of food and water for them. You can provide easily available food such as wet cat and dog food (meat based – no fish) or crushed cat biscuits. Other options include chopped boiled eggs or minced meat. It is a good idea to place these foods outside in a place where cats and foxes cannot easily access it, such as in a pipe easy for hedgehogs only to access. You can also buy specialist hedgehog food that is designed to give them all the nutrition they need and is a 100% natural. Some recommended ones are ‘Spikes Dinner hedgehog food’, which is available on amazon or in most pet stores in both wet and dry form. Another option is ‘Ark Hedgehog Food Original’, which can be found online starting at £3.90 for 1kg. 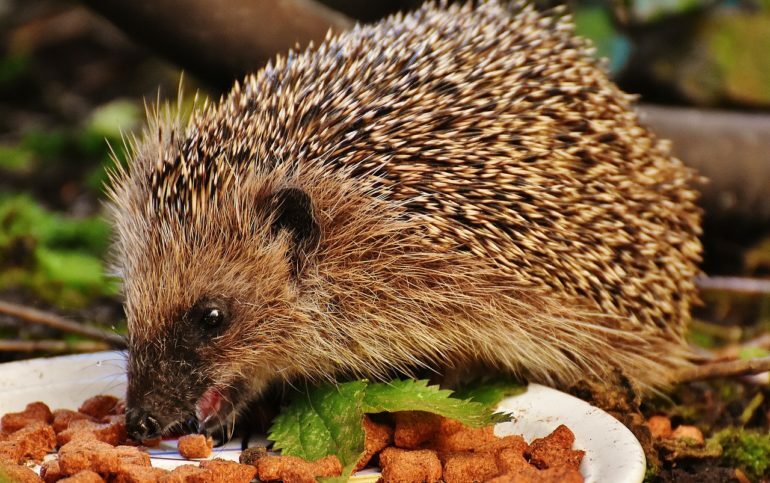 One food option that many people use but isn’t necessarily good for the hedgehogs is mealworms, as it doesn’t have the nutrition that they need and can become addictive. When considering what food you are going to put out, it is important to consider the time of year. In the winter months it is likely that wet food will freeze, therefore dry food may be best. One thing that is important to know when feeding hedgehogs is that you should not give them milk as they are lactose intolerant and it can do more harm than good. What can you do to help hedgehogs? 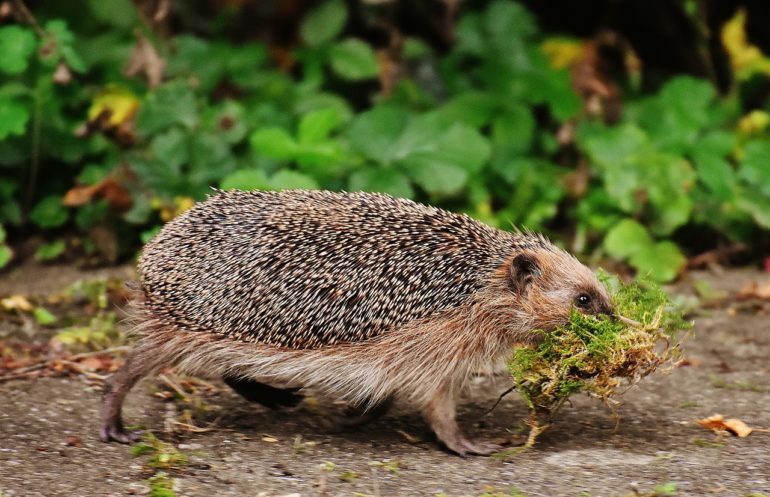 There are several things you can do in your garden to help hedgehogs avoid danger. The first of these is to avoid putting slug pellets down. This is because if they ingest them, it can be fatal. If you do need to put pellets down, then make sure to put them in places which are inaccessible to hedgehogs. Ponds and swimming pools can also be dangerous, putting chicken wire around the edge of pond or making sure there is a slipway for hedgehogs to get out of the water is a great way to avoid this. A third hazard is litter left around in the garden as hedgehogs can often get stuck. By making sure to clean up rubbish from the garden you can help keep them safe. 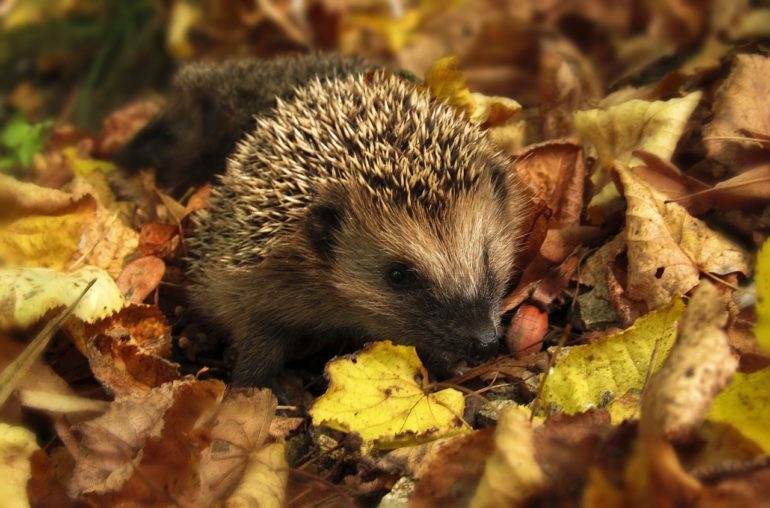 A great place hedgehogs like to hibernate is in leaf or log piles left in the garden, therefore if you plan to dispose of these by burning, it is important to thoroughly check them before starting the fire. Another way to help them is by building them a safe habitat specifically for them to hibernate in. There are two different types of homes you can provide a hedgehog, these are natural ones from your garden or ones you can buy from a store or online. If you are looking to provide a hedgehog a home from what is already in your garden a leaf or log pile is a great place, allowing them to naturally build their nest. You can also simply place a piece of wood leaned up against a wall in a quiet corner. Purpose built houses are also available, the RSPCA sell an igloo style home for £24.99. Local pet shops such as Pets at Home sell purpose built homes such as the ‘Wildlife World Igloo Hedgehog Home’ for £25. Or why not make your own with this simple BBC guide. Whatever home you decide to have, it is important to make sure you put it in a quiet shady area. 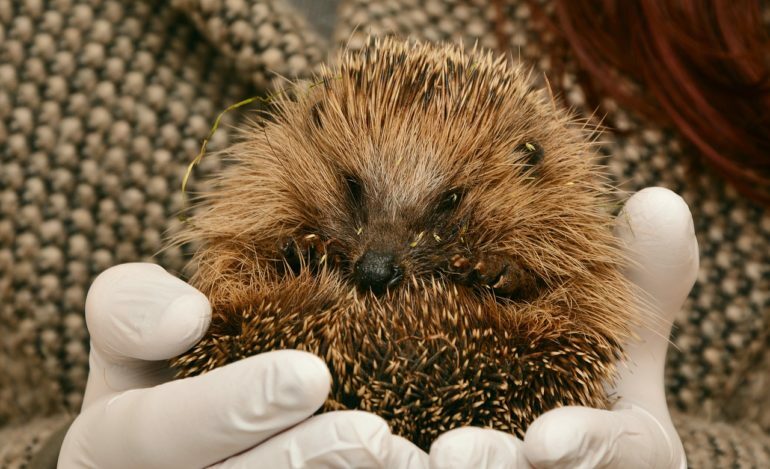 What to do if you find an ill hedgehog? If you think you have found a hedgehog that is ill or injured there are several things you should check before doing anything. Normally if you find a hedgehog during the day it is likely that there is something wrong as they are nocturnal, therefore they should carefully be picked up and taken to a wildlife hospital. Hoglets, which are baby hedgehogs, found during the day are also vulnerable so should be taken for specialist care. You should also look for open wounds, flies, checking if the hedgehog is ‘wobbly’. One of the most tell-tale signs is if they appear to be significantly underweight. To pick up a hedgehog you should wear thick gardening gloves, picking it up gently from the middle. 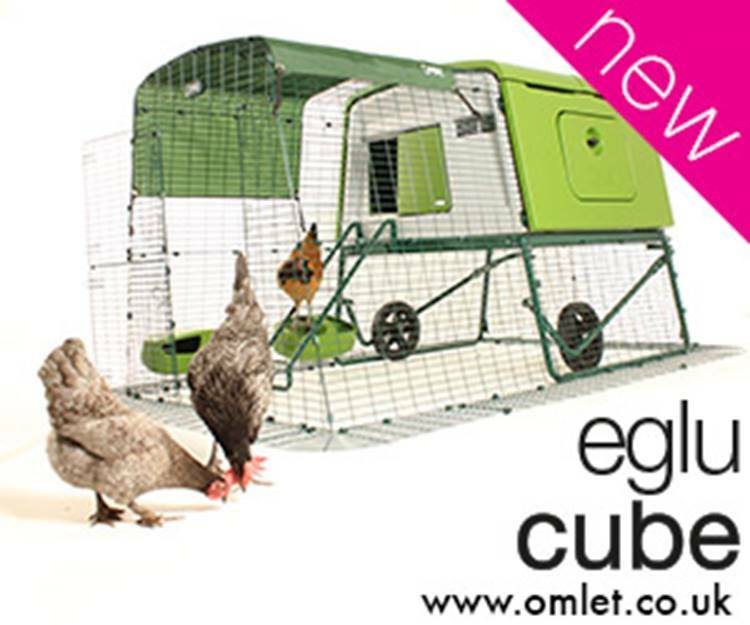 You should then place it in a deep cardboard box with newspaper and a towel or tea towel for them the hide under. If you think that the hedgehog is cold you can also wrap a hot water bottle in a towel to provide gentle warmth. There are two places you can take an ill hedgehog, the vet or your local wildlife rescue centre. Hedgehogrescue.org shows the closest place you can take a hedgehog in need. One charity that is recommended is the British hedgehog preservation society, you can call them on 01584 890 801, where they will provide you with advice and the local contacts to help. Another option is the RSPCA on their cruelty and advice line, which is 0300 1234 999.